This entry was posted in economy, government, religion and tagged tax exemption, taxes. Bookmark the permalink. 3 Responses to Who Pays Taxes? Totally agree with you, Arlen! We are a nation of sheep, a nation of the religiosy, a nation of war makers and murderers, and they all reinforce one another. What I just said may seem irrelevant at first blush to your post on government hand outs to religious institutions but it is totally relevant. Only the clueless and the duped don’t see the connection. The corpocracy sure sees the connection. IT MADE THE CONNECTION! It’s not about the building, it’s about the source of funds. Theoretically, at least,, people “give” money to the “community” of their church. That’s a whole different game than earning money in a private economy. But perhaps I am focusing too much on the specifics rather than the big picture. 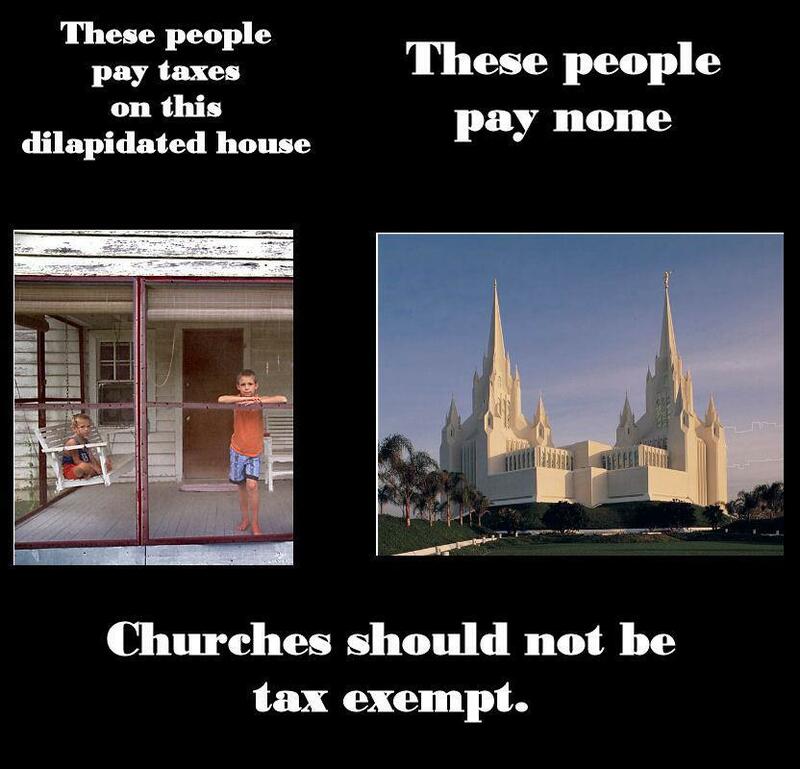 I think the point is that churches are exempt from paying property taxes, and get other tax breaks. Since they often make a lot of money and often try to influence the political process, I’d like to see them pay more.